International students are welcome in Khmelnytskyi National University! Khmelnytskyi National University is the biggest higher educational institution in Podillya, which trains specialists in 40 areas and conducts educational, methodical, scientific work.The University was founded in 1962. Since that time it has transformed from general technical faculty of Ukrainian Printing Institute to Khmelnytskyi National University, which has the highest IV-th level of accreditation. Nowadays there are many Universities that offer educational services in Ukraine. But KhNU gets global recognition, introduces new technologies and teaching methods, is actively involved in various international projects, conferences, students, teachers and scientists exchange programs. 1. Distance Learning allows students to make their own educational plan for the semester and to determine the way of learning the certain subject. 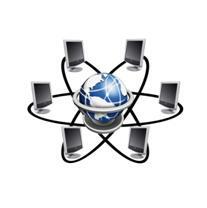 The students are trained using online-video conferences in comfortable place and time for them. 2.High demands for quality education in institution. Authorities of the university and academic staff are exacting to their studetnts, that helps to train lighly qualified specialists and make them achievement-oriented at the labour markert. 3.Professional academic staff. Academic process at the university is provided by 50 departments. There are 72 Doctors of Sciences. Professors more than 440 Candidates os Science. Associate Professors. Contacts with lugher educational establishmens from foreign countries enable raising profesional skills of University employees, improvement of educational programs and subjects, organizing exchange of academic staff. 4.Material and technical resources. KhNU has eight academic building including the Sports Hall. Research and Experimental Building Library. Rowing base. There was created a Botanical Garden with 1400 trees and shrubs. 5. Wide range of specislities.The university has 7 faculties that train specialist in 50 fields of studies. 6. Preparatory Department, which provides a thorough theoretical preparation for Exam Focus Complex Tests and Entrance Examinination, psyhological adaptation to conditions and teaching process in the University. 7.Affordable studing. Khmelnytskyi National University offers high quality education for affordable price. 8. Student’ cultural life. Numerous artistic and dance groups, theater miniatures Yumodes, folk theatre of song Suzirya function in the University Here is a Sports Complex with specialized hall for fighting. Fitness Center. Medical Office, multimedia laboratory, shower rooms. There is a Stadium, play grounds with artificial surface. 9. Housing. Five dormitories are available for foreign students. More detailed information can be obtained in the University Selection Committee in Academic building №3. Tel.+38 (0382) 67-27-55. Faculty of Distance Learning that has more than 700 students, trains specialists for full and short term studying using distance learning technologies. Students are trained using modern information technologies in 20 distance learning centres which are located almost in all regions of Ukraine. Students are fully equipped with teaching materials. For this purpose the university has developed more than 1100 distance learning courses (modules) and 3300 test units for knowledge control. The Faculty also carries out retraining of specialists with higher education on the main areas through the technologies of distance learning. allows to obtain parallel higher education in Ukraine, with the possibility to recredit disciplines studied in a host university. Additional information for applicants is on the site: http://dn.tup.km.ua, Tel. : +38 (0382) 67-19-99. Organization of educational process in the University is based on the implementation of the European Credit Transfer System. Thanks to the usage of computer and telecommunication technologies in educational process there was developed information and computing environment of the University (MOODLE). This system gives access to the educational materials for all disciplines. The process of studying is based on the usage of traditional (verbal, visual, practical) methods of learning as well as innovative ones. The innovative methods that are widely used in teaching process includes games (business game, role play games, simulation trainings, game designing, case-technology etc.) and active non-imitating teaching methods(discussions, brain-rings), master classes and of course information technologies that based on the usage of computers and computer graphics tools. In recent years, the students of our University consistently win more than twenty prizes at Ukrainian scientific competitions that is 2-3% of the total number of prizes. Such results are peculiar only to the leading higher education establishments in Ukraine and show the systematic research and professional training of students. Within the international cooperation students participates in international conferences, seminars (Poland, Belarus, Lithuania, Germany, UK, France, Belgium, Bulgaria, Czech Republic, Estonia), summer schools, students exchange (Poland, Russia, Germany, USA, Czech Republic), programs of international cultural exchange (Portugal, China, Spain, Russia, France, Work & Travel USA). KhNU annually organizes a series of international conferences for young scientists, involving representatives from different countries (Germany, Israel, Russia, Lithuania, Belarus, Poland, Armenia, Georgia, Azerbaijan, Czech Republic, Egypt, Bulgaria). In recent years the design students have won prizes at the international competitions in Brno, St. Petersburg, Moscow, Kiev, Kharkov, Odessa. 72 Doctors of Sciences, Professors, more than 440 Candidates of Science, Associate Professors work at Khmelnytskyi National University. Academic and teaching staff is prepared at Postgraduate Centre and Centre for Doctoral Training. Postgraduate Centre trains specialists in 22 and Centre for Doctoral Training – 6 special fields. Last year the University received 35 patents, published 64 scientific books and monographs, 1,700 scientific papers. Five specialized Dissertation Advisory Committees in 12 specialties successfully work at the University. The university activity involves intercommunication researchers with colleagues in different scientific fields. That’s why the university annually organizes international and republican conferences where scientists exchange views and ideas, introduce the results of their research, approbate their ideas. Active participation of scientists from leading universities and research establishments in Russia, Poland, Belarus, Latvia, Lithuania, USA, Germany in conferences demonstrates their level. 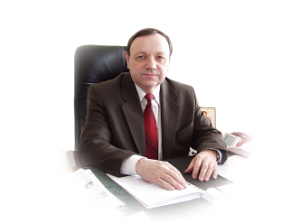 Khmelnytskyi National University was awarded a diploma «Leader of scientific activity» at the third international exhibition «Modern educational Establishments in 2012» that was a momentous event for KhNU. The Khmelnytskyi National University’s Scientific Library comprises over 600 thousand documents. The library consists of five reading halls, 3 delivery desks, specialized sectors: scientific and technical literature, foreign language literature, catalogue and electronic information hall, interlibrary loan, 3 faculty and 12 departmental libraries. 8 University academic buildings and 5 dormitories are included into university network through the fiber and optic communication line. About 2000 computers are used in academic process (more than 1800 of them are registered in computer network that has Internet access). The University computer network comprises more than 30 high-capacity servers of different purposes that are based on Intel Xeon E5 – 2650L microprocessors. The Botanical Garden was created in KhNU. All guests and students are impressed by its beauty. There are 1,400 conifers and deciduous trees and shrubs, more than seven thousands of floral and decorative plants. Recently the students and academics have opened a new exhibition Valley of Knowledge, which symbolizes the man’s way to the peak of knowledge and self-fulfilment. Q – intramural and extramural (distance) training. Preparatory Department provides a thorough theoretical preparation for Exam Focus Complex Tests and Entrance Examination, psychological adaptation to conditions and teaching process in the University. excellent results at the Entrance Examination. Students use the library of our University and academic laboratories; non-residents are provided with housing. Submission to the Preparatory Department starts in September. Training foreigners and stateless persons is conducted according to the Law of Ukraine.The admission of foreign citizens for training is conducted according to the Regulations on admission and training foreigners and stateless persons in Khmelnytskyi National University. For registration in the University (for admission for the first year studying or transferring from other educational institution) foreigners submit the documents to the Selection committee (Post graduate and Doctoral Department) and also to the International Relations Department. All international students can get education in our University for affordable price. For more information, please contact the International Relations Department (Academic building №4, room 218.). Students’ life of Khmelnytskyi National University is active. Numerous artistic and dance groups, theatre miniatures Yumodes, folk theatre of song Suzirya function at the University.Folk dance group Yunist Podillya, the laureate of All-Ukrainian and international festivals,successfully functions in KhNU. Art Dance and Relax show ballets, Victoria ballroom dance ensemble should be also mentioned. In our University there is a Sports Complex with specialized hall for fighting, track an dbasketball, handball, football and futsal play grounds, fitness centre, medical office, multimedia laboratory, shower rooms. Besides these facilities, there is a weight lifting hall, rehabilitation centre with specialized hall, therapeutic and sport massage room. Thus, the infrastructure of the university makes it possible not only to study, but also to have fun and profitably spend leisure time. Campus is convenient and compact. Academic buildings and five student dormitories, where more than two thousand students live, are located nearby. This is every second nonresident student of the university. There are kitchens with gas and electric stoves, bathrooms, showers, amenity rooms, laundries, dryingrooms in the dormitories. The rest rooms and living rooms in the national style are in the dormitories number 2 and number 3. The students can use card and coinpay phones. There are 36 family units for married students in the dormitory №5. The dormitories number 3 and number 4 are equipped with a mini health clubs. There is a medical health center, at Physical Education Department, located in the University Sports Hall. The students have three rooms at their disposal: a therapist, dental and manipulation. Treatment, sanitation and organization work are conducted there.